Observation notes: Fairly warm day (~59 F), with patchy snow cover. This Spring White was fluttering low to the ground over a grassland ridge, and spend time sunning itself on the ground. Coordinator notes: Corrected to Checkered White. Now that I look at this sighting again, the forewing looks exactly like that of a male Checkered White. 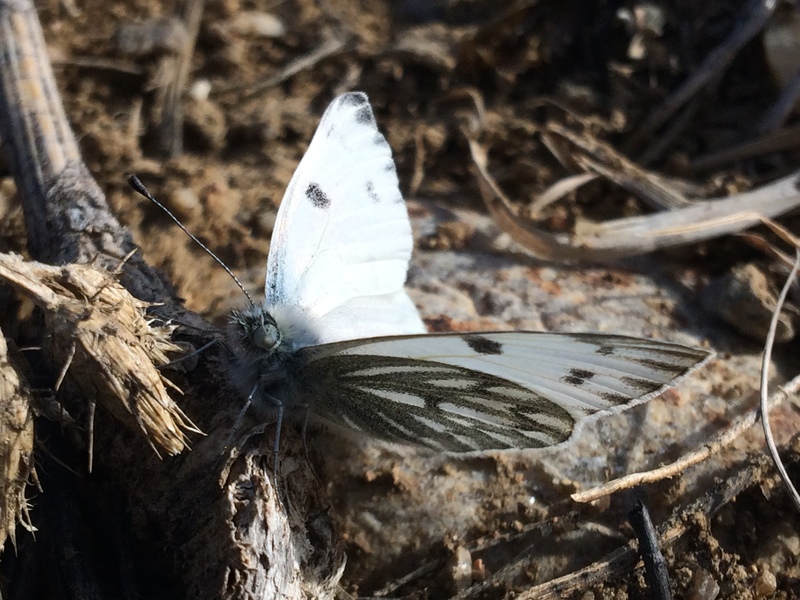 Sorry for the misidentification; I formerly thought that the Spring White was the only white to emerge before March in eastern Colorado.